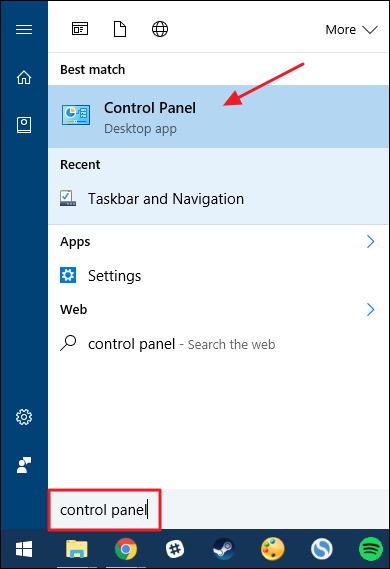 If there are Control Panel apps you use all the time, why not make accessing them quicker? 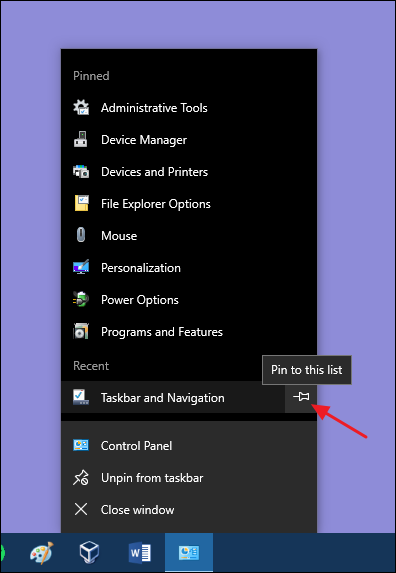 Just pin the Control Panel to your taskbar or Start menu and then pin individual apps to its jump list. 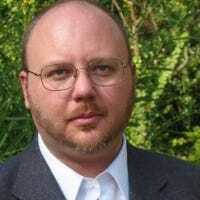 While writing up articles on customizing your taskbar and pinning folders to the taskbar, it occurred to me that in all these years of using Windows, I’d never bothered to pin the Control Panel. I wasn’t even aware until I did it that it supported jump lists, but it seems obvious in retrospect. 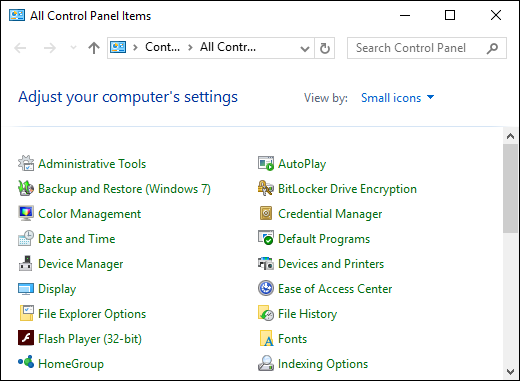 And it’s a great way of putting your favorite Windows tools and settings front and center. While the Control Panel window is still open, click each of your favorite sections to open them. This will make them appear in the jump list’s recent section. Open the jump list for the Control Panel shortcut by right-clicking the icon. Point your mouse at any of the recent items to reveal a pushpin and use that to pin your favorites to the jump list. Now, you’ll have ready access to all those tools. A simple trick? Absolutely. But it’s one of those you may not have thought of doing.